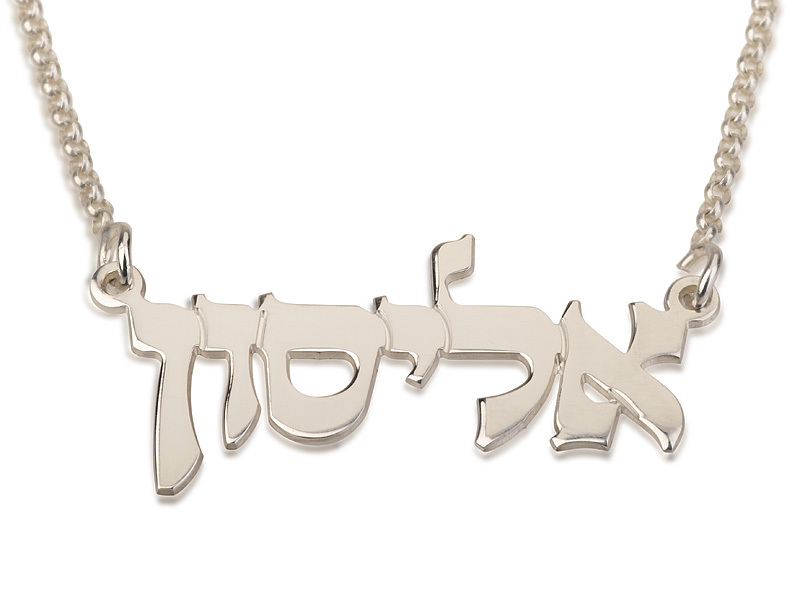 This delightful 925 Sterling Silver Hebrew Name Necklace is the perfect personalized Gift for anyone (or even yourself). 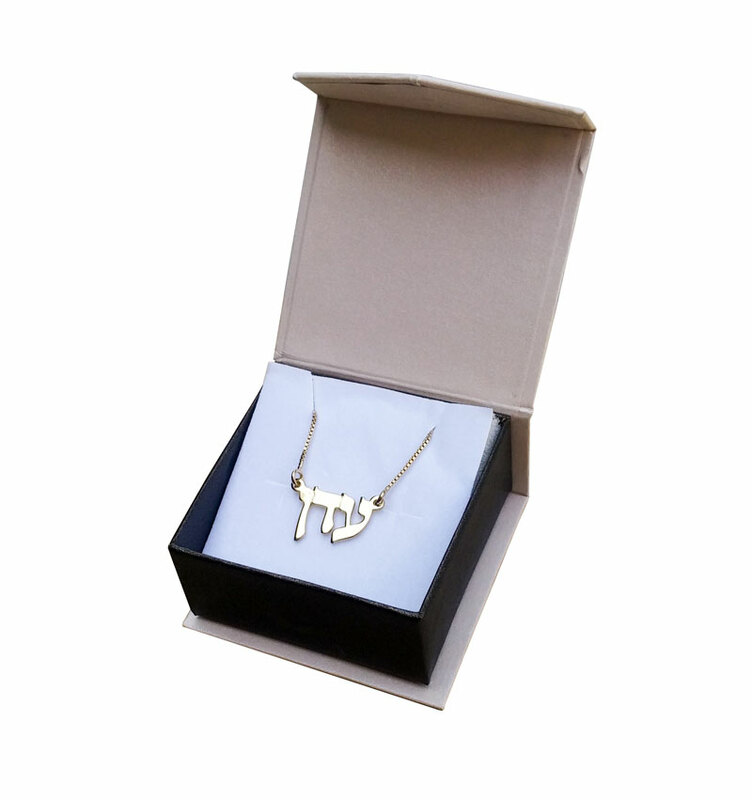 We will hand craft any Hebrew name in the traditional Square Hebrew font of the standard bible. The pendant includes a silver chain in choice of lengths. The chain length does not include the pendant - which is attached at either side of the name. 925 Sterling Silver Hebrew name necklace custom-made with your name. This piece of Israeli jewelry is hand crafted in Jerusalem. Names written in the holy letters of the Torah made of Silver & Gold are one of the most traditional Jewish jewelry items. Israel silver jewelry is a traditional gift for life passage events like Brit, Birth, Bar & Bat Mitzvah, Wedding, & Anniversary. Please note that personalized name necklaces can be returned only if we make a mistake or the product is defective.